The mortgage market place is a competive and diverse industry. There are literally hundreds of lenders and thousands of different mortgages types to choose from. As buying a home is probably one of your biggest financial commitments, it can also be very stressful and daunting - even for existing home owners. 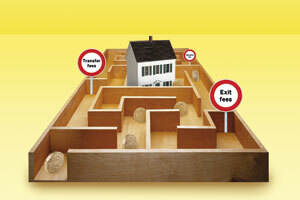 The Mortgage Shop (Worthing) has the expertise and experience you need to navigate your way around the 'mortgage maze'. The following pages summarise some of the more common types of circumstances we are able to offer advice on, but for more advice on your individual circumstances, and to find out how we can save you money, please feel free to contract us.